Munich may be famous for its beer and bratwurst, but it has so much more to offer students, especially those wishing to study business. Nicknamed ‘the city of laptops and lederhosen’, the Bavarian capital boasts a fun, creative and dynamic business environment that is complemented by its pride in local traditions including costume and Bavarian cuisine. Known as the economic powerhouse of Germany, this cosmopolitan capital is where some of Germany’s largest companies – including BMW and Allianz, among many others – are located. As a result, the city provides a host of opportunities for learning and networking. Munich also actively supports startups, making it an ideal place for dynamic future entrepreneurs to gain knowledge, get involved and to set up new and forward-thinking ventures. In addition to having a lot to offer those interested in business, Munich is jam-packed with fun and adventure, there are plenty of music festivals, fun events and opportunities to play sports or enjoy a relaxing day swiming in the lake and having a picnic at the local park, ensuring a well-rounded student experience. 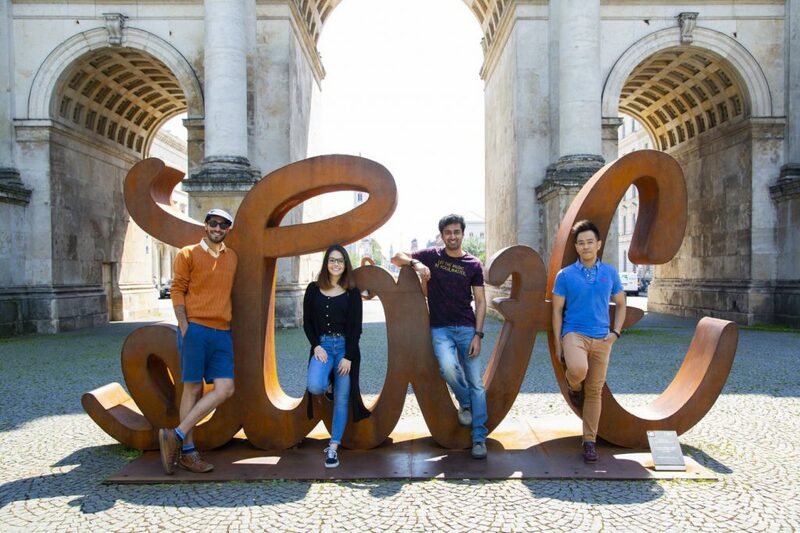 Read on to find out why Munich is a great place to study business and have fun as a student. Munich is a booming business hub where ideas, innovation and entrepreneurship are actively encouraged by local government, making it the ideal setting to study business. Numerous tech-affiliated industries, including information and communication technology, automotive engineering, aerospace, life sciences, finance, nanoscience, medical engineering and environmental engineering, are concentrated in Munich. This has strongly branded the city as a center of expertise in tech research, development and innovation. In addition, proactive development initiatives and close cooperation between established companies, universities and research organizations have made the city one of the most research-intensive regions in Germany. Munich has a flourishing startup scene, particularly in the fields of AI and app development: according to a LinkedIn study, five of the 25 most successful German startups are headquartered in Munich. These are often backed by local venture capital players such as Siemens Venture Capital, who also own start-up accelerator Next47. As a student, you can join a variety of startup accelerators and incubators hosted by various universities and private clubs. MUST – The Munich Summit puts a spotlight on the Bavarian entrepreneurial ecosystem by hosting a range of events and connecting key players. Established by Munich’s top university centers for entrepreneurship, this annual two-day summit brings together cutting-edge science and technology startups and industry leaders and investors. This is one of several initiatives that promotes innovation in one of Europe’s most promising cities. Over recent decades, Munich’s administration has actively sought to establish optimal conditions in the city for promoting business and encouraging innovation. The confluence of different factors and initiatives specifically designed to support both new and established businesses has become known as the ‘Munich Mix’. As a result of these initiatives, more and more venture capital is moving into Munich, plus numerous large corporate headquarters and offices are choosing to base themselves in the Bavarian capital. This makes Munich a city where a lot of business-related decisions are made daily – the perfect environment to study business and learn from industry leaders. Large international corporations such as BMW and Siemens have based their headquarters in Munich, which now vies with Berlin as Germany’s economic powerhouse. Thanks to the proliferation of companies and prestigious international organizations that are choosing to establish themselves in the city, Munich has become a great place to apply for internships and jobs after completing your studies. EU Munich makes the most of its proximity to these industry giants by introducing students to these companies and their leaders through talks, seminars, workshops and company visits as part of its fun experiential learning method that encourages students to learn from real-world situations. Munich isn’t all work and no play. As well as offering plentiful learning opportunities, this vibrant, energetic city has lots to see and do, giving students the chance to relax and have fun. If you’re feeling adventurous, it’s less than an hour’s drive to the stunning Bavarian Alps, home to prime ski slopes, fantastic hiking trails, and lots of adventurous activities all year round. In summer, you can cool off in lakes, rivers and public pools, picnic in the parks, or party at one of the city’s fabulous music festivals. Munich explodes in autumn, when the world-famous Oktoberfest beer festival takes place, attracting 6 million people from across the globe. At this world-renowned festival, young and old gather in the big marquees, many wearing traditional dress – dirndls for women and lederhosen for men – and celebrate in a relaxed and lively atmosphere with folk music and current hits. As you’d expect from one of Germany´s biggest cities, there’s lots of nightlife, from chilled-out beer gardens to major clubs. Plus, you won’t want to miss out on the city’s fantastic food scene: enjoy everything from traditional hearty Bavarian cuisine, or check out the sophisticated and cosmopolitan restaurants. Munich is great city for students who are interested in sustainable living. It has a multitude of luxuriant parks to enjoy and you can cycle almost anywhere – which is cheap and great for the environment! Businesses and cities across the globe are aware of the pressing need to address sustainability issues. By 2025, Munich hopes to be using 100 percent clean electricity, which would make it a world leader in renewable energy. Since 1994, the Bavarian capital has awarded the ‘Munich Environmental Award’ to honour exemplary commitment to the environment. Prizes are awarded primarily for innovative climate and environmental protection projects, such as environmentally friendly production methods or outstanding energy conservation or production programs. The prize money must be reinvested in environmental programs or projects. Projects such as GreenCity are making Munich cleaner by promoting the use of alternative forms of transportation, supporting and initiating sustainable city planning and encouraging conscientious energy use. The city has various initiatives in place to ensure their ultimate goal: a clean and healthy environment for all to enjoy. This makes Munich the perfect place to learn about sustainable business practices if you’re interested in a career in renewable energy or sustainability in the future – one of the world’s fastest growing job sectors. Munich is drawing talent from all over the globe: some choose to work at large, established companies, while others are putting their bright ideas into practice by establishing startups. As a result, Munich has become home to a culturally diverse group of international business people. This makes it the ideal setting to network, to share ideas and create business opportunities and new ventures. 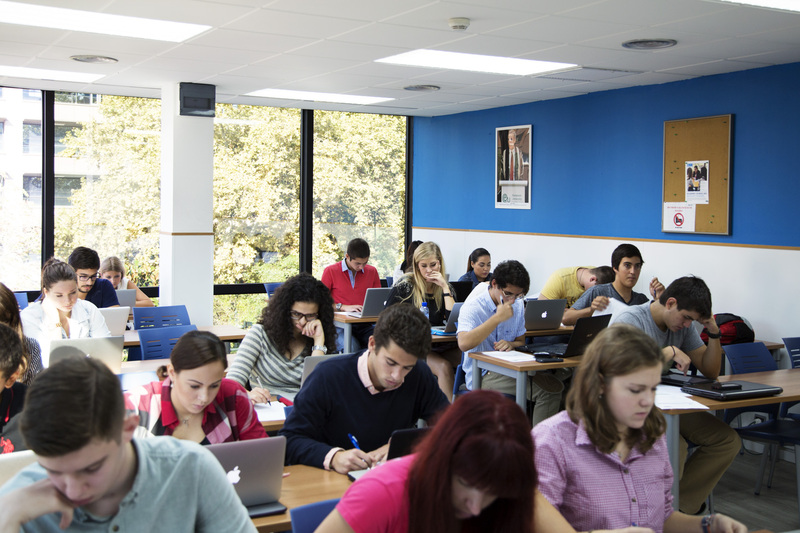 Gaining an international business education is an invaluable asset. 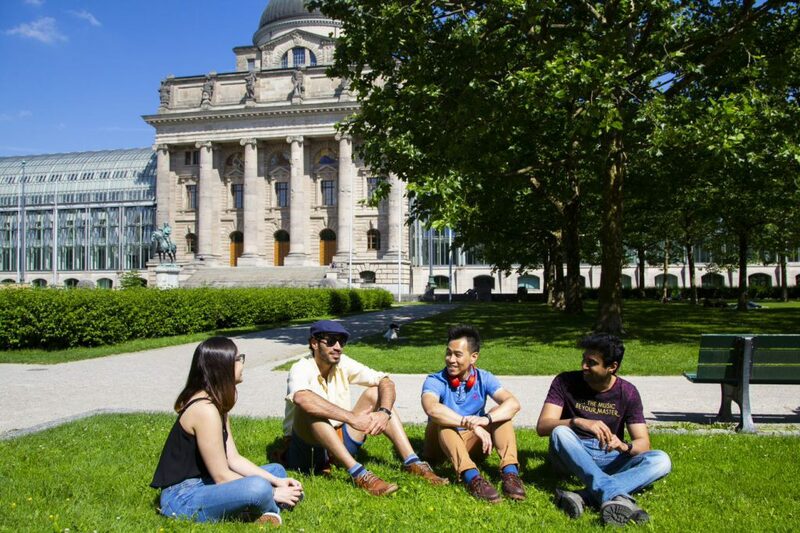 Students from all over the globe come to the city to study at many of Munich’s top universities and business schools. As an added benefit, it also provides students with the perfect opportunity to learn German. The favourable economic conditions ensure that there are plentiful job and internship opportunities at the international organizations that call Munich home. Students studying abroad in Munich often obtain jobs at these prestigious companies directly after completing their studies and internships. Studying business in Munich is a great way to prepare yourself for the real business world while enjoying all that this metropolitan city has to offer. 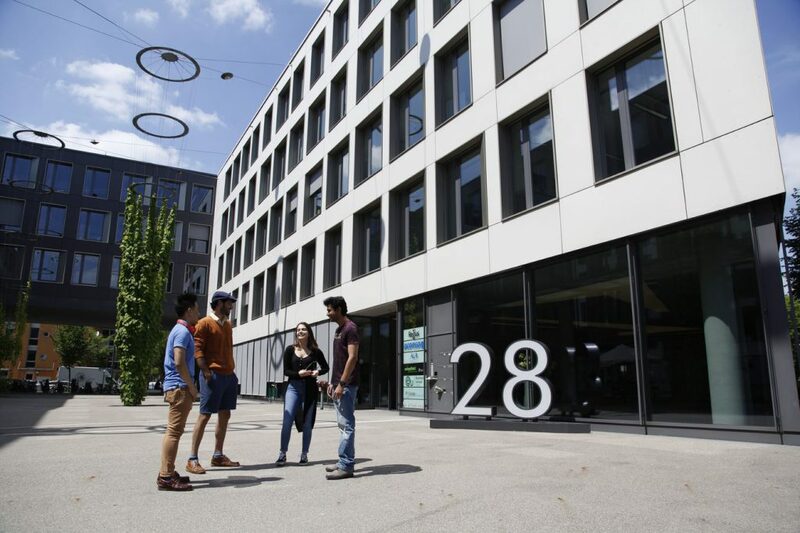 Study the latest in business trends at EU Business School (EU)’s Munich campus, and experience the vibrant city life for yourself. EU prides itself on equipping students with the skills needed to succeed in the ever-changing, globalized business world. For more information on our exciting range of English-taught programs click here.